Now that the water levels are finally receding across the UK after more than a month of flooding, we assess the various structural issues that properties could have suffered and consider how Target can help. 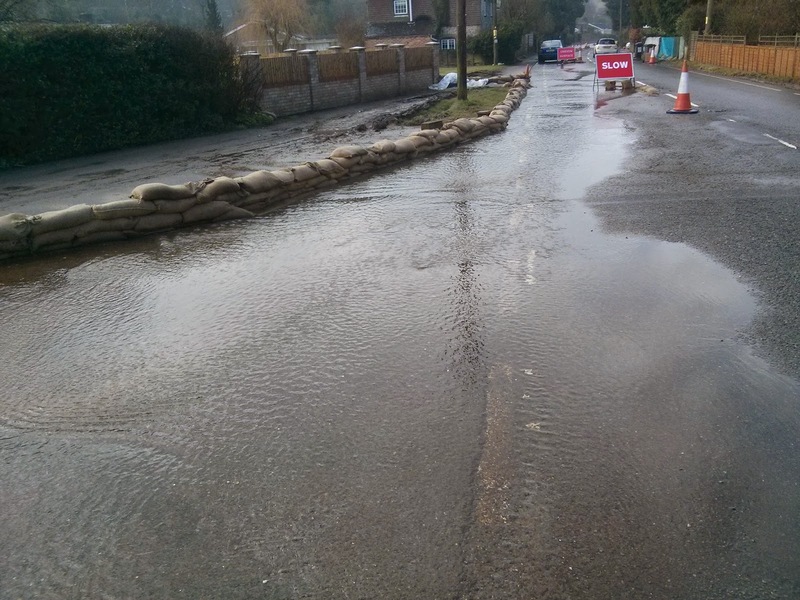 suffering with flooding since January 2014. Up until a little over ten years ago, our Managing Director and his family lived in a watermill which flooded on three occasions in the period he lived there. They had to seek alternative accommodation while the 18" of sewage-laden river water drained away from the property and the drying process commenced. Their possessions were destroyed and, as it was a 200-year-old listed property, carrying out additional groundworks to stop this happening again was almost impossible. 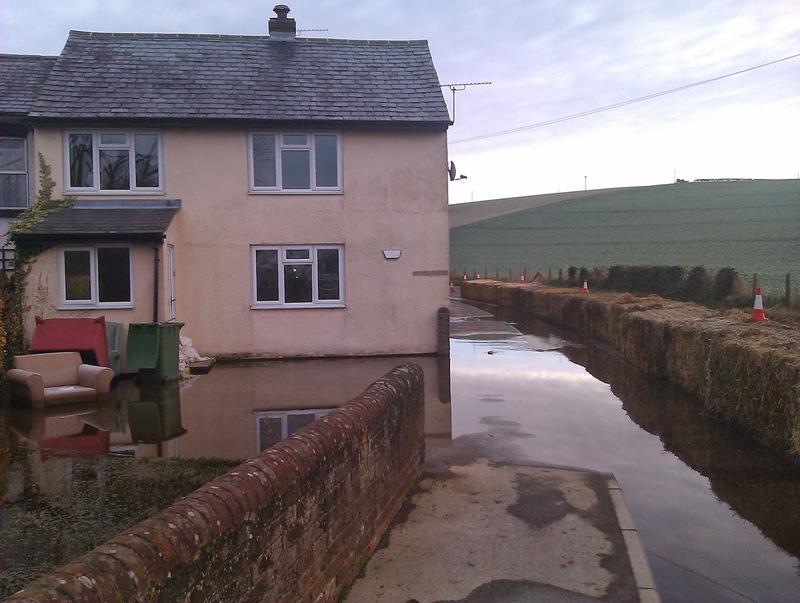 Some six months after the flood the property was almost re-completed with the installation of new carpets, only to find another 6" of water destroying all of the repair and replacement works. In 2000, they were forced out by a third flood a few weeks before Christmas, forcing them to seek accommodation during the snowy winter break and this proved the final straw prompting them to seek alternative permanent accommodation for all the family. Looking at what people have suffered over the last month has caused huge concern. Once the news teams have moved on everyone will forget the suffering that is still taking place for the hundreds of families affected. Let us start by saying, that if you have been a victim of flooding this year, we fully understand the trauma that you will undoubtedly have suffered. There is very little that anyone can do. If you have insurance the majority of the costs should be recoverable - however experience has shown that you may well have a hard time with the loss adjusters. It is the loss of the irreplaceable items of sentimental value that cause the greatest heartache. Now that the water is finally receding, it is sadly still not the end for home-owners who will have to return to their homes to assess all of the damage caused. It is often this part of the journey that can be the most traumatic - especially when the loss adjuster is inexperienced or just wants to be difficult! Despite this, it is very important to try to put emotions to one side and begin the steps that will ultimately result in returning home. Firstly, the property must be fully cleared of all silt and debris before being dried. The drying process alone can take several months - even with the help of dehumidifiers. It is also vital that the main services are checked, including water, gas and electricity. Water pipes must be checked for damage, to prevent contaminated water entering the system. Gas pipes and electricity outlets must be checked by a qualified person in order to ensure that the building is safe. The property must then be assessed for structural damage caused by the flood. Because bricks naturally expand and contract on a seasonal basis and clay bricks continue to expand throughout their life, properties are usually well equipped for movement. Flooding may not have a huge impact once the brickwork is dry, but if you start to notice new cracking it is important to contact us so we can assess the property for any problems caused. The biggest issues may not be apparent until many months from now. The water will affect the clay soils causing expansion (heave) when they are wet, and contraction (subsidence) as they dry. This can have a dramatic effect on the house foundations causing diagonal cracking in the main fabric of the house. The fabric of the building can often be repaired quite easily and simply using Target's Bar Flex system to stitch the cracks while still allowing the property to undergo its natural movement. If it is necessary the foundations can also be underpinned to provide structural support using Target's Heli Pile system. This is designed to support either a few parts of the property or the whole property, depending on the severity of the problem. It usually incorporates Bar Flex installation as a "beam" over the Heli Piles to spread the loads throughout the fabric. If you have any associated problems with structural issues caused by the flooding we at Target will do all that we can to help. This will start with a free structural survey and can go on to deal with your loss adjuster - especially if they are not willing to offer a proper solution. We have many years of experience of dealing with insurance loss adjusters so do not feel you are alone. We are here to help. Please contact us for more information.